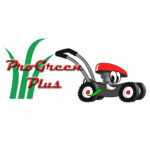 VIDEO: Dual Carbs and One Bad Diaphragm - ProGreen Plus | Knoxville, TN | Lawn Mower Parts | Riding Lawn Mower Parts | ServiceProGreen Plus | Knoxville, TN | Lawn Mower Parts | Riding Lawn Mower Parts | Service | We've Got Your GRASS Covered! 2002 Kawasaki Prairie 650 carburetor with bad diaphragm. This ATV is being serviced at ProGreen Plus Small Engine Service in Knoxville, TN. The carburetor diaphragm on the right hand side is damaged and needs to be replaced. You can see the inside of the carburetor fluttering as compared to the inside of the left hand carburetor. This creates a build-up of fuel since the carbs are not synchronized. Watch the carburetor backfire as it loads up with fuel. ProGreen Plus Small Engine Service has experienced master technicians that can service all brands of atv’s, 4 wheelers, mini-bikes, and more, including Honda, Kawasaki, Yamaha, Suzuki, Polaris, Arctic Cat, and others.